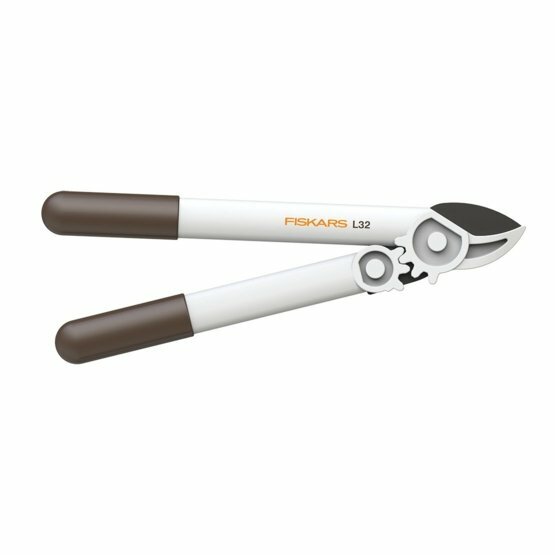 The Fiskars White Anvil Lopper L32 is a handy-sized lopper for a wide variety of smaller cutting jobs. The handles are made from FiberComp™ to make them both lightweight and robust. The SoftGrip™ covered handles increase comfort. The patented PowerGear™ mechanism makes the cutting three times easier compared to standard mechanisms. The upper blade is made from high quality hardened carbon steel making them stay sharp longer. 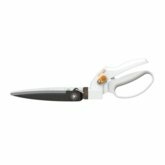 The quality of the blade is further enhanced by a non-stick PTFE coating on the upper blade to reduce friction and make cutting and cleaning easier.